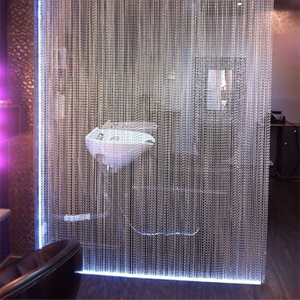 This metal chain link curtain made of aluminium is often also called fly curtain or fly screen, as it is traditionally used as a door curtain to protect insects entering the room. 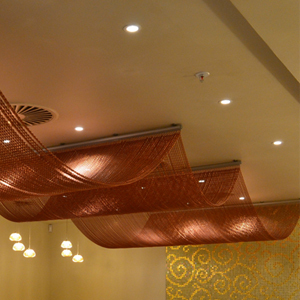 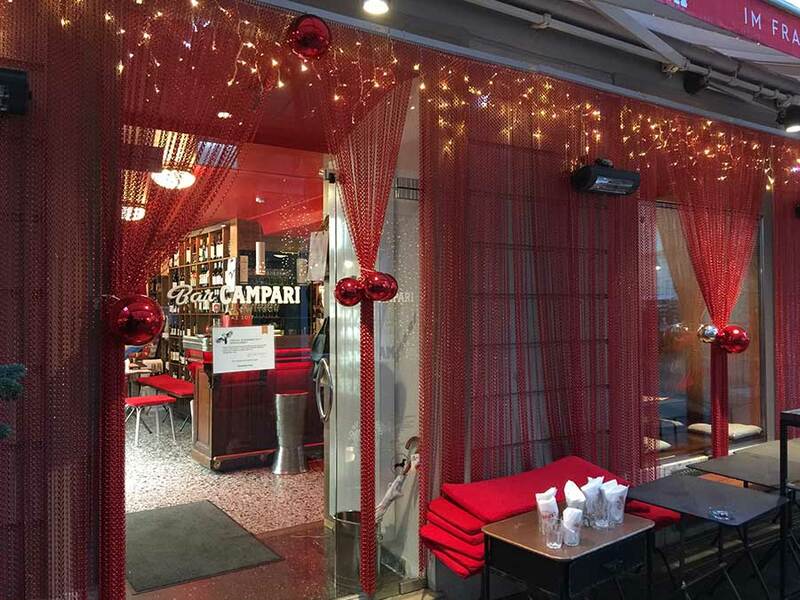 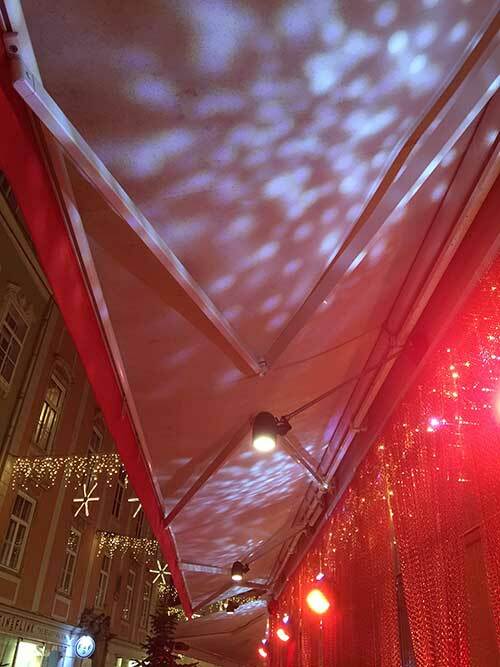 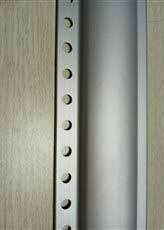 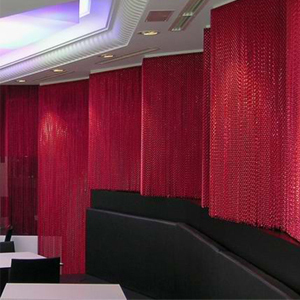 Today, these aluminum curtains are favoured by designers and decorating of hotels, shopping malls, showrooms, etc. . 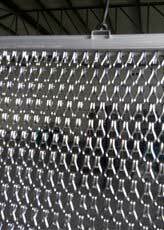 The surface of this chain link curtain is shiny and available in many colors.